ca 470 - 460 B.C. 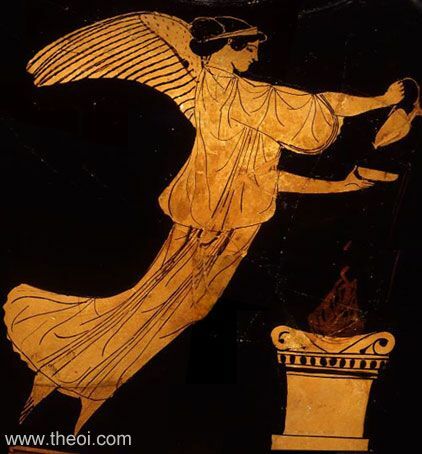 A flying, winged Nike (Victory) pours libations at an altar. She holds an oinochoe jug and phiale cup.